Kinzd wants to gift another fan with brand new wallet! To enter in their latest Kinzd Camouflage Card Holder Slim Wallet Giveaway grab your entries by following few simple steps listed down below! 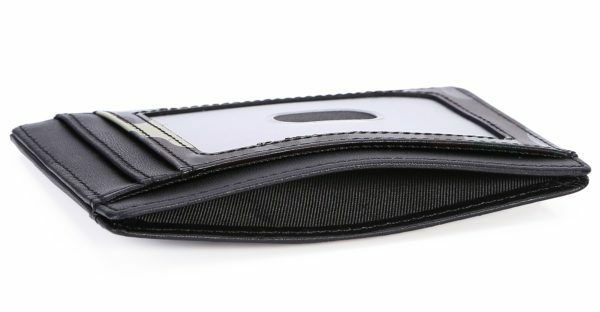 It features 6 card slots, 1 ID window, 1 Larger Card/Money/Receipt Pocket – Top Center Access, you can easily put all kinds of cards and money in and easily take out. With small size 11.2cm x 8cm x 0.3cm, so it wonot bulge in your front pocket, making it more practical and comfortable for daily use. The Ultra-slim, compact design is ideal for the professional to hold all their credit cards and for front or back pocket wear. You will feel comfortable to take it even if long time sitting or driving. Can Secures your credit card and other RFID-chipped cards, ID, Passport etc., protects your personal information from being stolen. Blocking all RFID scanners and readers. The slim wallet is made of Genuine Leather, soft and feel good. It is durable, all edges are expertly oiled to prevent the materials from fraying. STEP 2 – Subscribe and like Kinzd on Facebook, Twitter, Pinterest and Instagram. STEP 3 – Like and share giveaway on Facebook. Winners have to contact Kinzd within 3 days of announcement to claim the prize.